SafeGuard Medical Transport is your number one source for non-emergency medical transportation in South Bay and Orange County. SafeGuard Medical Transport is committed to providing professional door-to-door transportation with your comfort and safety in mind. 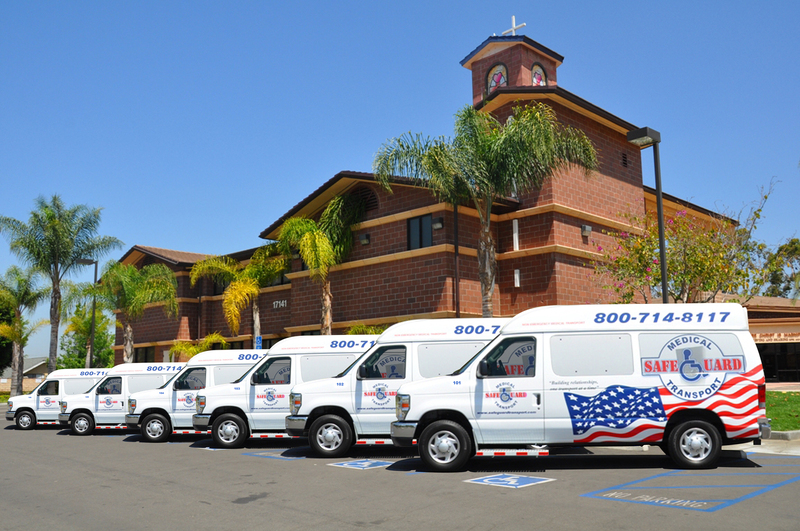 SafeGuard Medical Transport’s fleet has raised the standard in the non-emergency medical transportation industry. We have the highest quality of transportation available in order to ensure public safety and provide reliable transportation to you, our valued client. Safety is our number one priority. Our vehicles and equipment are inspected daily prior to any passenger transportation. Our vehicles are guaranteed to be clean, maintained, safe and will exceed all of your expectations. We offer transport services Mondays thru Saturdays from 6:00am to 8:00pm including holidays. Sunday transports can be accommodated upon advance request. Please contact us for a complimentary transportation quote. To request transportation, call our office at (800) 714-8117 or fax our Request For Transportation Form to (714) 701-6168. We look forward to serving your non-emergency transportation needs.